The trails through Stenson Park all lead to the stormwater management pond that has become a haven for wild plants and animals capable of living in close proximity to suburban neighbours. The Stenson Park pond is a central feature of our community, putting people in touch with the natural environment and each other. But the pond is also an engineered structure, connecting the runoff from rooftops and roadways to our local stream, Harper Creek. 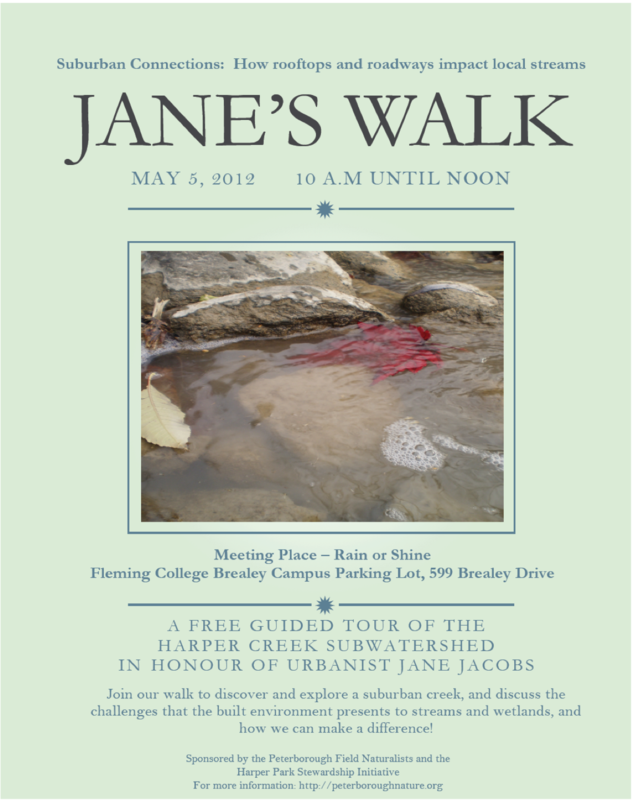 Join our walk to discover and explore a suburban creek, and discuss the challenges that the built environment presents to streams and wetlands, and how we can make a difference! 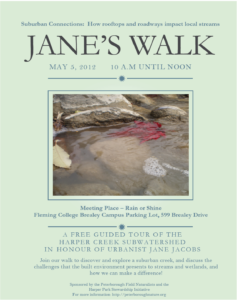 This Jane's Walk is being delivered in partnership with the Peterborough Field Naturalists, a registered charity working local to know, appreciate, and conserve nature in all its forms. Learn more about the PFN at their website: http://peterboroughnature.org/.